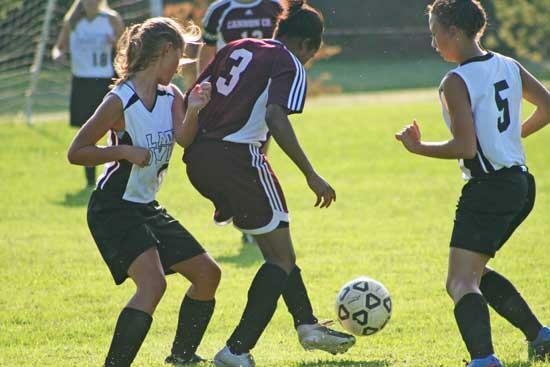 CARTHAGE – The Cannon County Lionettes soccer team suffered a 5-1 setback at Smith County in the season opener Tuesday. Emily Lance scored the Lionettes’ lone goal in the second half. Cannon County will be back in action at Franklin County Thurday at 5:30 p.m., before playing host to York Institute in the home opener at Schwartz Field Tuesday at 6 p.m. The 2010 soccer team members are Emily Agee, Katlyn Arnold, Sydney Borren, Candance Coppinger, Alexi Davis, Ashley Duke, Abby Fann, Brittney Ferrel, Casey Gunter, Kelsea Jacobs, Addison Knox, Emilee Lance, Mariana Magana, Rose Magana, Hunter Miller, Brette Motlow, Callie Neal, Janna Reed, Erin Rowland, Nina Walkup, and Joanna Young. Coaches are Charlie Bowman and Guillermo Novoa. The team is having a car wash/yard sale Saturday (Aug. 28) and again Saturday, Sept. 11.